Time Out! | Rabbi Lawrence A. Hoffman, Ph.D.
With the Super Bowl behind us, I can at last put aside the numerical complexities of football: three-point field goal; six-point touchdown; one-point conversion; two-point safety; two-minute rule, four downs; ten yards: the list goes on and on. I am, however, taken by the time-out regulations. Each team gets three of them per half, during which it takes a break from the game, and strategizes for reentry. It would be awfully nice, it seems to me, to have time-outs in life: when the circumstances of living wear us down, we get to signal to whoever is running us around at the time that we are retiring briefly, and will be back. Life would stop temporarily, maybe with a commercial in some unknown planet where extraterrestrial beings are watching us. Who knows? Whatever the case, when the time-out ends, we would bound back into our work and families like recharged football players being whistled back onto the field. We would launch new strategies in place of old ones, ready to face whatever challenges life throws our way. Call it crazy, but that’s the sort of thing I muse about, these last grey days of winter, with the dismal month of February endlessly under way, and still a lot to handle before Spring brings the welcome floral march through crocuses, daffodils, tulips and the rest. Most of it is purely legal: laws of murder, mayhem, and the like. But it ends with Moses ascending Mt. Sinai to meet with God for forty days and forty nights. The odd thing is that the story now stops for two whole weeks; it will take two sedras until we rejoin Moses on the mountain. For the interim two weeks, we get to wonder what he did those forty days and forty nights. Sforno answers by referring to another forty-day period. For the first forty days of their lives, new-born babies are considered by halakhah to have had only tentative status as “alive.” Infants who die before that are not considered to have been fully born. We enter this world, as it were, through birth and then rebirth: the nine months of gestation, when the fetus marshals the capacity to emerge safely from the womb; and its first forty days, when it masters the tasks of staying alive. It takes forty days, says Sforno, to be reborn, and that is why Moses remained so long atop Mt. Sinai – not for God’s sake, but for his own. It was a forty-day “time out,” an opportunity to reenergize his flagging spirit when the trip from Egypt began to wear him down and his task was far from over. But here’s the thing: tradition credits Moses with climbing the mountain not just once, but three times – for the first tablets, then the second ones, and in between, to plead for Israel after the Golden Calf. Moses too had three time-outs. Each one lasted longer than it had to, as far as God was concerned. They each got stretched to forty days to give Moses time to rest, re-strategize, and reemerge reborn. The English calendar gives us February hope with Groundhog Day: the illusion of an early Spring. But Groundhog Day is child’s play: it merely gets us through the winter. 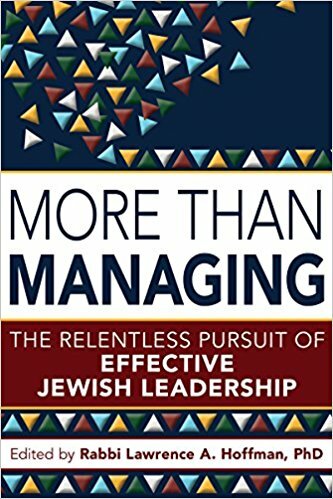 The Jewish calendar gives us MIshpatim, and the promise of renewed life, three times, just what we need if you think about it: first, as young adults about to take our independent place within the world; second, in our middle years, our “mid-life crisis,” when we fear that what we’ve been doing will not sustain us through the years ahead; third, when we retire or otherwise become what is euphemistically called “a senior” — then, too, a lot of life is left, enough to warrant a third “time out” to consider what to do with it. Moses did it – why shouldn’t we – take time out, I mean, three times: when we graduate college, hit middle age, and start thinking about our twilight years? This entry was posted in Torah In Our Lives and tagged super bowl. Bookmark the permalink.